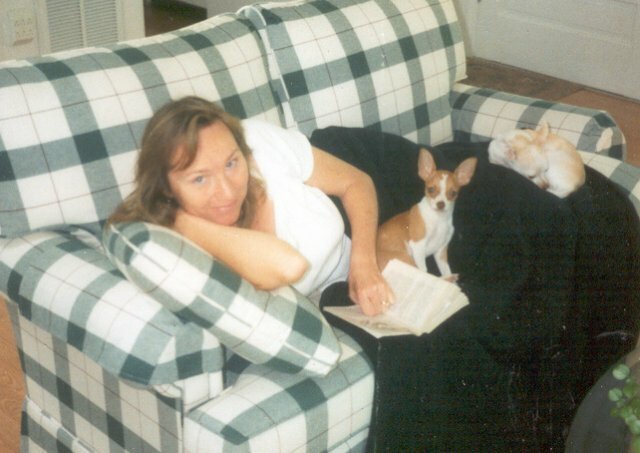 I've been a hobby breeder since 1995. I started with cockatiels and parakeets, but now restrict my breeding to finches. 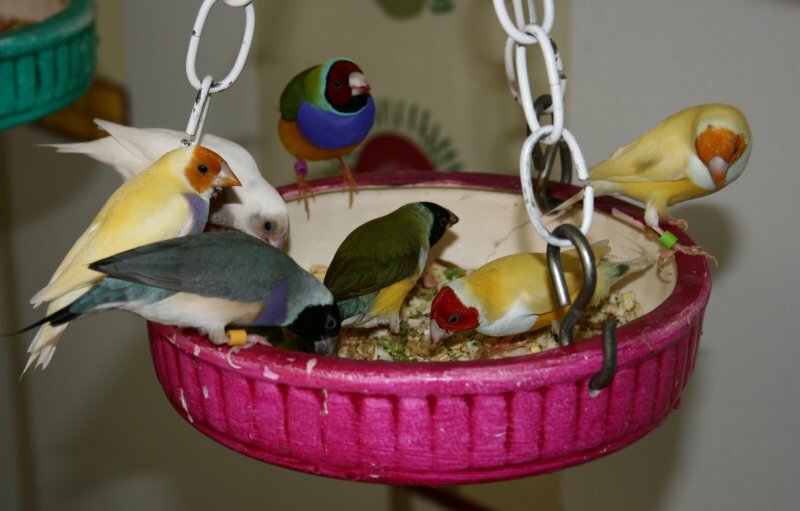 In the past, my mixed finch aviary included Gouldians, Societies, Owl Finches, Blue Cap Waxbills, Star Finches, Canaries and Orange Cheek Waxbills. But in 2004, I decided to concentrate on my favorite finches - the beautiful Lady Gouldians. 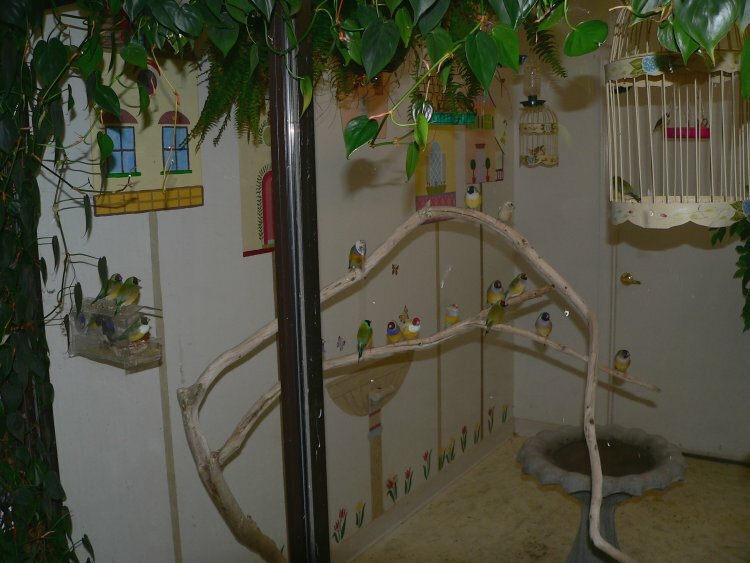 My birds fly free in a large aviary inside our home at Lake Gaston, North Carolina. These birds have really captured my heart. My pups and I spend many afternoons watching their antics in the aviary. Actually I usually do the watching while the pups nap. My mission is to keep a beautiful aviary for my own enjoyment. This is a time consuming hobby which I love. My birds are in the best of health. They get plenty of exercise flying in the aviary. They have a varied diet of seeds, sprouts, veggies, egg food, spray millet, along with vitamins and supplements. I don't breed large quantities of birds - this is a hobby for me, not a business. I normally keep about 10 breeding pairs. I band all birds and keep careful records so there is never any inbreeding. Since my birds love to have babies, and I can't keep them all (at least that's what my husband says), I sometimes have young birds for sale. Check out the Birds for Sale page for current availability and prices. For me, each new clutch is fun and exciting. I love each new baby and if you acquire birds from me, you can be assured that they have received the best nutrition and care.